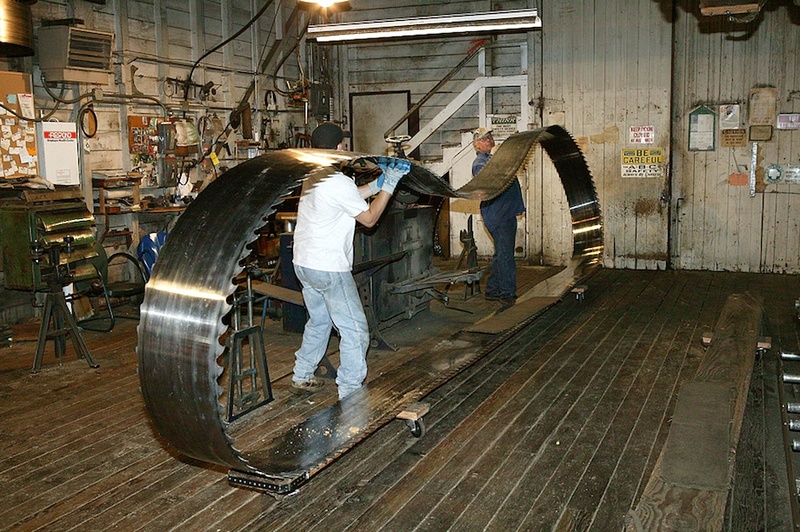 Read more about the Hull-Oakes Sawmill by clicking on the name. And just think, they get bigger than that! I know! It really makes you appreciate all the work that goes into getting that lumber to the yard. Thanx for the link. It’s nice to read old equipment, like me, is still working. very impressive. 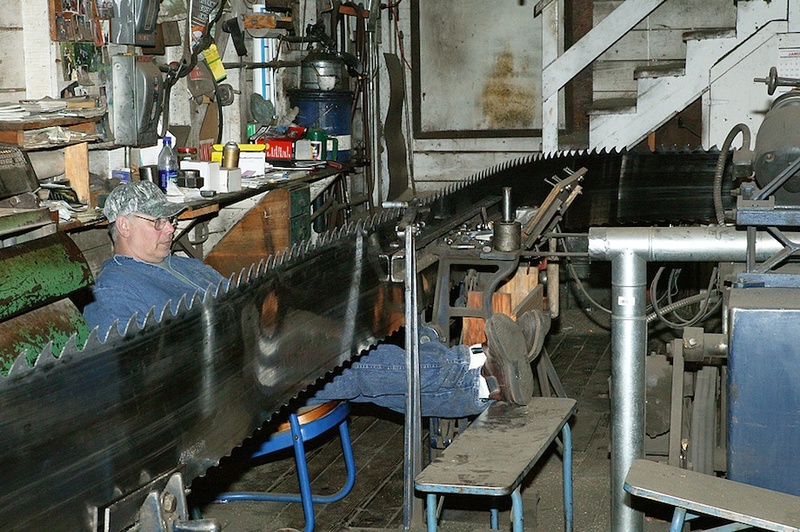 that man must have a lot of confidence in his setup, sitting with his legs under the saw like that! Yeah, I noticed that. I’m hoping that was a pose for the picture and not routine. I’d never have that kinda confidence, yikes! No danger there, it’s the two guys lifting the bandsaw onto the grinder without the help of a hoist, one guy trips and that saw will cut them bad. I’ve had to do that myself and hated it every time. Previous Previous post: Can you find the dog in this picture?? ?